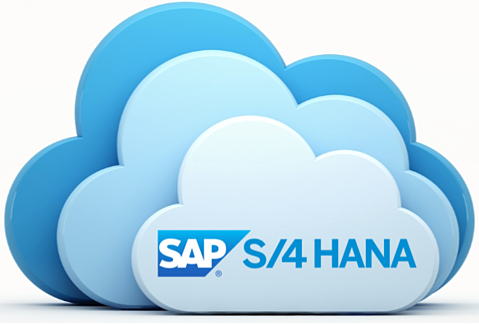 Have you decided to move from your current enterprise resource planning system to SAP S/4HANA? After running a Readiness Check and choosing an adoption path, you’ll need a road map to get there. Focusing on the greenfield and brownfield paths, here are some tips for making the switch with a minimum of disruption. If you’ve chosen the greenfield (new implementation) path, you’ll want to start using SAP’s Activate methodology. SAP will provide Expert Guided Implementation help to go through the phases of the Activate process that you can leverage via Illumiti or your system integrator. As an SAP customer, you can access implementation documentation via the Learning Hub. By making best practices part of your greenfield system, you’ll ensure that it’s ready for data discovery right out of the box. SAP provides guidelines for the configuration process of activating SAP Fiori to leverage as many of its new applications as possible. Other key steps include putting a data migration strategy in place, leveraging tools such as the SAP Migration Cockpit. SAP also offers a Roadmap Viewer for any adoption path you choose. Once you’ve decided on the scope of implementation for that path, it’s time to start creating your project plan. SAP will deliver a basic plan that you can build on to deliver your solution. For the brownfield (system conversion) path, it’s important to follow the steps that SAP recommends. Illumiti often advises customers to do a proof-of-concept by copying their production process into a “sandbox,” whether it’s in the cloud or their own data centre. Why use a sandbox for system conversion? First, it lets you practice and capture learning from the steps involved. Some of those lessons will be unique to your system, data quality and customization. Second, a sandbox yields estimates of how long each step will take. Third, you can build an effort estimate of the resources needed for system conversion. Fourth, a sandbox lets you create a detailed conversion plan—keeping in mind that once you move to the development phase, you lose access to production support. Fifth, you can identify data inconsistencies that need managing. For organizations that want limited disruption to their business, the brownfield path is the best option. It gives them an opportunity to make a gradual transition to SAP S/4HANA, then build a road map to leverage its capabilities. That shift delivers three major benefits. SAP S/4HANA users get a simpler data model and a better user experience—which combine to offer new business process capabilities that make your organization more productive. Getting there isn’t as straightforward as it might appear, though. Take for example the front-end through which users experience the power and benefits of the new and improved business processes in SAP S/4HANA, known as SAP Fiori. If you want to fully leverage these applications and avoid disruption, it helps to be aware of some myths and misconceptions. For example, you often hear that you can use SAP S/4HANA without SAP Fiori. This is technically true; for the most part, you can get by without it after an upgrade. However, you severely limit the business value of SAP S/4HANA. Without Fiori, you still enjoy the benefits of faster analytics and the power of the HANA database, but with it you can do much more. So our recommendation to minimize disruption is to start with the bare minimum of Fiori, but to always have a plan to roll it out more extensively over time. Another misconception is that once you upgrade to SAP S/4HANA, all of Fiori is ready to use and activating it is just a technical task. Not true: there are technical and functional configurations needed in many cases, so you must make decisions about what applications you want or need to activate at the start. On activation, if these configurations are not done, you will encounter errors, and if you activate all of them, you won’t be able to tell which error messages are irrelevant and can be ignored. We thus recommend determining how much Fiori you want, based on the business uses required. Introducing Fiori can be a gradual process, but you must ask which business areas need it the most and which apps match those areas right out of the gate. Finally, don’t assume that user experience is a minor and/or technical part of implementation. The people component is huge in SAP S/4HANA. You can technically upgrade with minimum Fiori to start, but as you build your road map to roll out more functionality, you need a user experience lead to manage the process. That means having a good project plan in place, including a user experience strategy.